Are you struggling to find places to begin your publishing career? Are you curious about publishing options for graduate students? The Edgar L. Morphet Fund Committee of the International Council of Professors of Educational Leadership was established in recognition of Edgar L. Morphet’s lifetime career of distinguished contribution to the field of educational administration, and particularly his long and continued support of ICPEL. The Edgar L. Morphet Dissertation Award(s) is given during the annual ICPEL conference to recognize scholarship in the dissertation stage of advanced academic work in the field of educational administration. The award is made for efforts at improving the knowledge base of ourprofession. 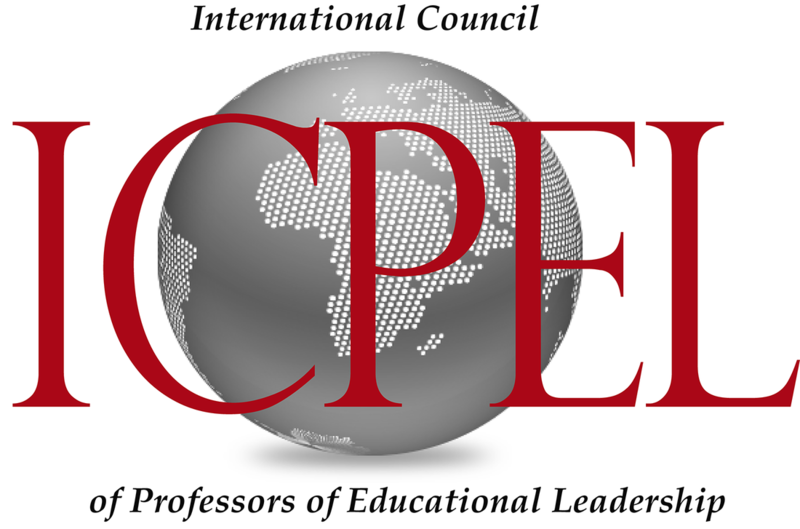 Announcement of the award competition is made at the annual conference and through a general notification to members of the International Council of Professors of Educational Leadership. Recent doctoral graduates are nominated by sponsoring ICPEL professors. Abstracts of dissertations that meet the requirements and conditions outlined below, and whose authors have a career devoted to the field of education administration, are submitted anonymously to a panel of reviewers. Nominees should have been awarded the doctorate within two years of nomination deadline (i.e. January 1, 2017 – January 1,2019). A plaque, certificate, and monetary award are presented to the winner during the annual conference which the honoree must attend. The winner is announced at a general session of the conference and is requested to present their dissertation during an open meeting, at which time the sponsoring professor is also recognized. The conference fee is waived for the winner. The individual is also recognized in the ICPEL Newsletter and the conferenceproceedings. To be considered for an award, an applicant must submit the dissertation abstract and all requested information to the Chair of the Morphet Fund Committee on or before the date set by the Chair and be available to attend the ICPEL conference if named the recipient of the award. Mailing information and final dates for submission are provided by the Chair, through the Executive Director, in acovernotewiththeNotice/Application-Criteria/Abstract. SUBMISSION DEADLINE IS April 28th, 2019. AWARDS WILL BE NOTIFIED by May 31st SO THAT ARRANGEMENTS CAN BE MADE TO ATTEND THE 2019 CONFERENCE. Receipt of application will be acknowledged by e-mail. Incomplete or inappropriate applications will be rejected according to ICPEL approved committee rules. Notification of rejection will be provided to the nominee. Full title of the doctoral degree. Present and previous positions, and education (next position if changing from the present). An abstract summary of 150 words or less, summarizing study—for use in the conference program and proceedings, if selected. Also, if selected, winner will be asked to send a head & shoulders photo for the program (Do not send a photo with nomination). Note: Strict adherence to these criteria is mandatory for manuscript acceptance and award consideration. Studies of administrative entities in educational institutions: schools, school districts, intermediate units, state agencies, colleges, universities, and other such units. Studies of the role and function of the educational administrator at any level. Studies of the history of educational administration or of the lives of major contributors to the field. Comparative studies of educational administration with other fields of administration. A clearly stated conceptual/theoretical framework is used in the study. Research results are shown to have meaning for theory and practice in educational administration. Appropriate references to the relevant literature are made in the abstract and supported by references which were used in the abstract. The study includes a population of many cases, a few cases, or a single case. Regardless of population studied, the methodology reflects the most scholarly practice in research procedure for such a population. Correct use of the English language and of scholarly writing is exhibited, and the document follows a generally accepted research-reporting format, e.g. APA; Turabian (Chicago U. ): MLA; or other. The chosen style is identified and exhibited in the abstract. The abstract is limited to 5-8 pages (12 pt Times New Roman and isdouble- spaced), with standard margins, plus appendices as necessary. Only include appendices necessary to support the abstract information. Appendices and reference list are not counted in the total page limit. AbstractThe abstract has five parts and follows the general form as described below. · State the type of research; survey, case/observation, experimental, historical, documentary/textual, orother. · State the purpose of the research, the justification for it, and why it was done in this particularway. · State how the research may contribute to knowledge and/or practice in educational administration. · State the explicit theoretical basis or rationale for the research, referring to the relevant literature. Only include references in an appendix that are used in the abstract. · State the problems/questions/hypotheses that were proposed to be answered and/or tested in the research, as derived from the theory/rationale. · Describe the population studies, including any sample. · Describe the instruments/procedures used in data collection, including any sampling procedures. Give the dates during which data were collected. · Describe the techniques used for data analysis, including any scaling forms and statistical procedures. · State the validity/reliability standards used to establish the credibility of the date and analytic procedures used in the study. · In an appendix, as appropriate, provide additional information on instruments, data collection and processing procedures, analytic techniques, statistical procedures, credibility standards, etc. · State the findings of the study. State any delimitation to be placed on the findings. · For historical/documentary/qualitative studies, identify the evidence that supports the findings. · For statistical studies, include relevant descriptive and inferential statistics, summary tables and graphs. · State the conclusions from the findings. · Relate the conclusions to the original theory/rationale. State what has been learned for the field of educational administration from this research. · Suggest improvements on this research study and new questions that should be investigated.